Not trying to scare you about the snowy prospect of the coming Winter – just reminding you that plenty of good outdoor sport exists in the colder months. And what better way to revel in the season than to take a Windham Weaponry Snow Camo VEX out for a varmint hunt in the snow! This is the perfect rifle for calling those wary coyotes. The matte finish stainless fluted barrel is not only accurate, but glare free so you won’t spook them, and the beautiful Snow Camo finish on forend, receivers and stock will help you blend in to your winter surroundings. With a Compass Lake Chamber & Matched Bolt specifically designed for .223 Rem. caliber varmint rounds up to 77 grains bullet weight, and a free floating tubular aluminum hand guard, you’ll have the accuracy and reliability to reach out to any varmint that comes your way. Check out the Windham Weaponry R20FSSFTS-C1 Snow Camo VEX below – or go to www.windhamweaponry.com to see all our rifles and accessories. Or, call us for a free catalog (1-855-808-1888) – we’d love to hear from you. First make sure the rifle is unloaded, and separate the upper from the lower receiver by pushing out the takedown and pivot pins in the lower. Set the upper aside. With a 1/16″ T-handle allen wrench, remove the pistol grip screw. With the lower upside down slowly pull the pistol grip up off the receiver. Note the two springs and their locations. One spring gives tension to the takedown detent and the other spring gives tension to the safety detent. The safety detent spring is in the pistol grip, and the takedown pin detent spring will be sticking out of the smaller hole in the lower. Just leave the safety detent spring in the pistol grip when you remove it. Remove the pivot pin detent spring and set it aside. The safety detent will most likely fall out when you remove the safety, and the takedown detent may also fall out. Just be careful not to lose them and make sure they go back in the correct holes when you are reassembling. Also note the correct positioning of the takedown pin. With a small punch, drive out the hammer pin first then the trigger pin. It’s best if the hammer is decocked before doing this. Remove the hammer, trigger and disconnector. With the allen wrench provided with the Elftmann trigger, screw the two screws down so they are about flush with the bottom of the trigger housing. Insert the housing in the lower and put the hammer and trigger pins and the safety back in the lower. Also note that there is a metal plate with the Elftmann trigger assembly you can put in as well. This is primarily used on carbon fiber AR15s to prevent cracking the lower. This is optional in an aluminum receiver. You can put it in if you don’t want the tensioning screws bearing directly on the lower or leave it out. It will operate the same either way. Tighten both of the tensioning screws down into the lower evenly on both sides until they are snug and the hammer and trigger pins cannot be pushed out. Insert the locking screws in on top of the tensioning screws to lock them in place. These screws are supposed to be Loctited in with Loctite that is provided with the trigger assembly. I don’t show it in this demonstration. Reinstall the pistol grip, making sure the detents are in their proper locations as well as the springs. Compress the springs down straight and be careful not to bend either spring to the side. Do a function and safety check on the trigger group to make sure everything is working properly and that the hammer will not drop when the gun is on safe. Where is the serial number located on my Windham Weaponry rifle? The serial number on your Windham Weaponry rifle is located on the left side of the Lower Receiver – on the Magazine Well just below the Windham Weaponry script logo. Exceptions to this are our Carbon Fiber and RMCS Multi-Caliber Rifle models where the serial number is located just below the Safety. finished (a QPQ corrosion resistant finish). These handguards also feature the Windham Weaponry logo engraved into the side panels. Because Barrel Nuts on Windham Weaponry Carbon Fiber Rifles are factory installed with Loctite,it is recommended that this handguard be installed by Windham factory technicians – a service we offer at no charge with purchase of the hand guard. Contact Customer Service for instructions about sending your Carbon Fiber rifle in for this upgrade. 15″ – 12.0 oz. / total weight with barrel nut – 14.4 oz. 13″ – 9.6 oz. / total weight with barrel nut – 12.0 oz. 7″ – 6.4 oz. / total weight with barrel nut – 8.8 oz. 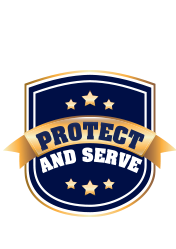 As I mentioned in last month’s newsletter I was going to be attending the Tennessee Law Enforcement Training Officers Association Conference. I would like to thank all of you that attended the conference and came by to say hello. Also a big shout out to those that attended the Windham Weaponry Armorers Course at the conference. We had 25 students in the class and once again it was a great class taught by Retired Metro Nashville Officer Greg Lee. I also attended the Orlando SWAT Round Up for the first time this year and that too was a huge success. We had the opportunity to get some time on the range with two one hour live fire demos. We had over 60 officers and visitors attend the two live fire demos, and it was awesome! I received the Government model last week and cannot be happier with it. It reminded me of the first M-16 issued to me in 1967 as to size and feel. A real rifle. The quality of workmanship is just amazing! The range results was better than I ever expected. The trigger crisp, action smooth and sub MOA groups out to 300 yards. It was like shooting a laser. Thanks so much for your generous offer to us NRA instructors. 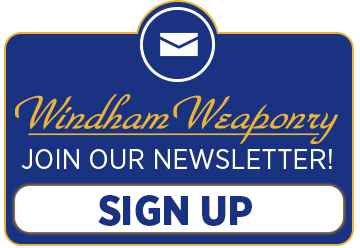 I know this is not my last Windham firearm. We had lots of exciting events to mark the date…. was won by Rebecca Poole. The Door Prize Raffle – a Glock Pistol – was won by Eric Tarbox. we were able to donate $2,700 to these worthy causes. Thank You! We had a Chili Cook-Off! Southern Maine Marine Corp League. Thank you for your service! EMT & Law Enforcement Departments on hand. Portland Maine Bomb Squad; Windham Fire Dept. & others – thank you all!